Hello my loves!!! I apologize for not keeping y’all updated with my adventures the past few days-I was trying to make the most of my lay few days abroad. I cannot believe that In a few hours, I’ll be boarding a plane home. Did 64 days really go by that fast…? I look back at all the amazing adventures I had this summer and all I can think is did that really happen? Did I really live in another country for two whole months, traveling all through Italy, and making some of the best friends I’ll ever have? Still doesn’t seem real…. My Italian Adventure ended in Venice, a city dominated by canals, endless alleyways spitting you into piazzas, and tourists (lol). We were lucky enough to be staying near Dorosdoro-the artist’s neighborhood-on the other side of the Accademia. At this point, I was completely wiped out by all the museums we’ve visited this trip, so no Accademia visit for me. 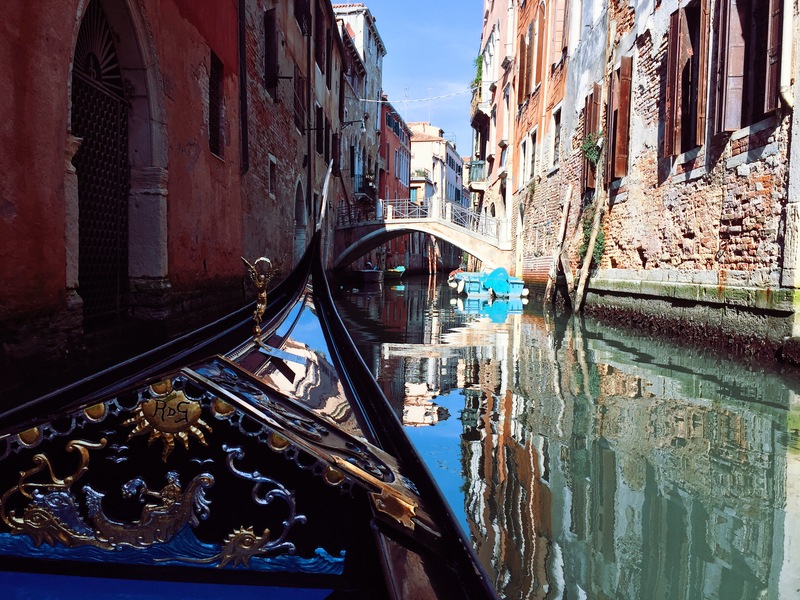 Instead, the first day was spent exploring the lesser known areas of Venice, and I found these the most beautiful. 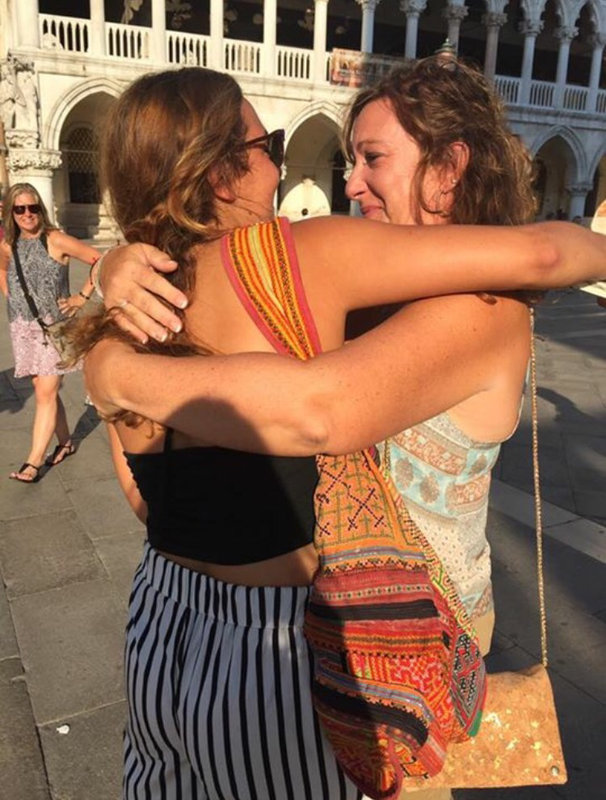 That night I followed the signs from Accademia to St. Mark’s Square where I….wait for it…..WAS REUNITED WITH MY MOM AFTER 64 DAYS!! And oh what a reunion it was. We ate at a cute restaurant that we found the last time we were in Venice…and were seated at the exact same table we ate at almost a year ago. Funny how time works like that. Conversation came easy, with all of us exchanging stories about our summers and everything we accomplished and achieved. I told them all about the art show, my classes, and trying to figure out TrenItalia. As much as I loved being reunited with part of my family, it was bittersweet knowing that this meant the end of my trip. But we didn’t let the impending return home hang over us. I managed to convince my mom to let Tore and I go to the discoteca with my study abroad friends…..and it al went down canal from there…. Above you see a photo of me posing next to the stairs in an offshoot canal. This is where I had to climb out of the canal after I accidentally went for a swim….oops. After a few drinks and couple of dances with cute ragazze, Tore and I found ourselves sitting along the wall of the canal talking to a few of the guys we were dancing with. I was walking along the edge of the canal and even though they told me to stop, it fell on deaf ears. I was trying to be cute and sassy, but my long dress had other plans for me. 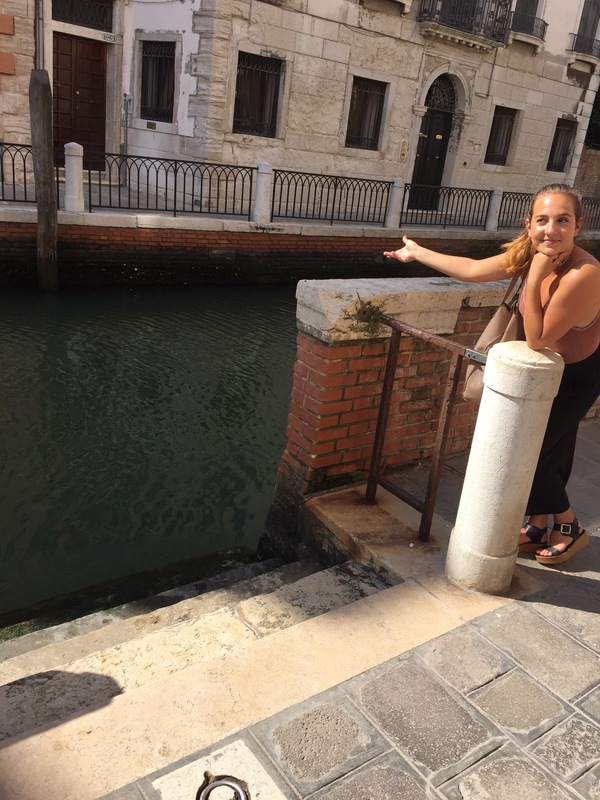 I went to turn and managed to trip myself on my dress…and thus is the story of how I became the Mermaid of the Grand Canal…lol. 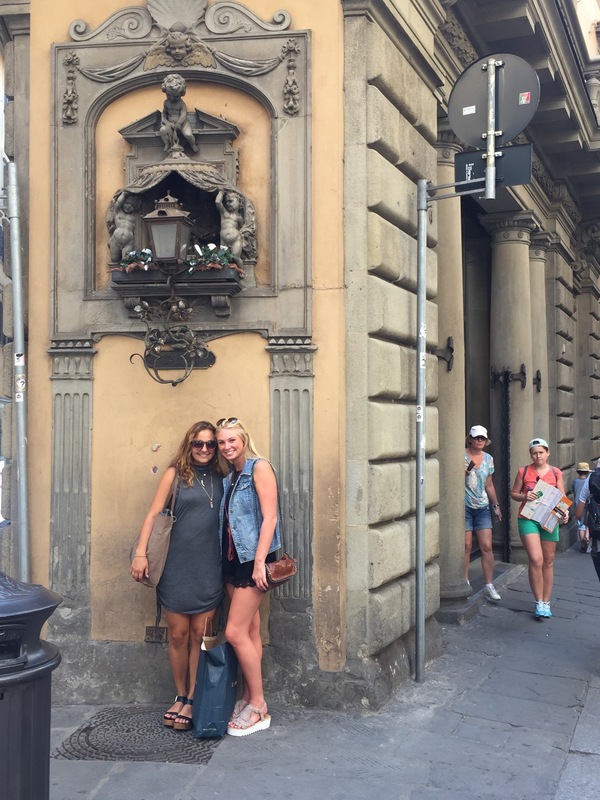 I made another adventure to Firenze (my favorite city!!) and taught my family how to navigate the endless rails of TrenItalia. We frolicked through the city where I got to play art historian, pointing out all the architecture and art I learned about on my three trips there this summer. I remember turning to my mom on the train back and said “Mom, I’ve been to Florence 3 times this summer. Most people don’t go once in their entire life”. Not that I haven’t felt blessed or appreciated the adventure I was able to be on, but it was that moment when I realized how unbelievably lucky I was. Yesterday as we boarded the boat back to the hotel, I looked at my mom and said “I feel like Thank You isn’t strong enough to express how grateful I am for this” and she turned to me and smiled. “I know” she said. “Do something with it. Make something happen”. Always the one with the words of wisdom. And now I sit in the J.W. Marriott lobby, knowing it’s time to go home, knowing my family is waiting for me in Alpharetta, my best friends waiting for me in Athens, and my desire for new adventures still stirring around inside me. ← Making the Most(ra) of the last few days!